Welcome to the Veterans' Page of the Caribou Club. Today, June 6th 2016 is the 72nd anniversary of the D Day Invasion in Normandy, France, which brought about the end of World War II. 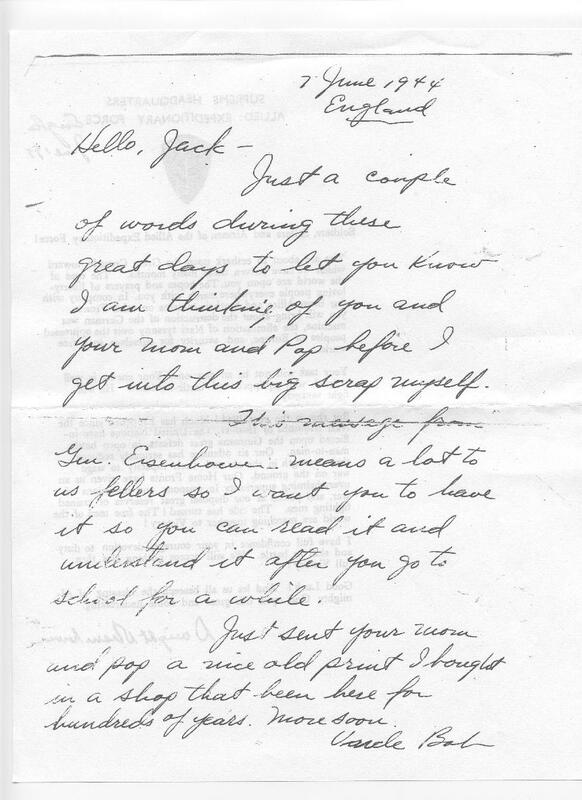 Below is a letter sent from England to Jack Meyer, age 3, by his uncle Bob Meyer, (Father of Rob and only brother of the lateJohn Meyer). 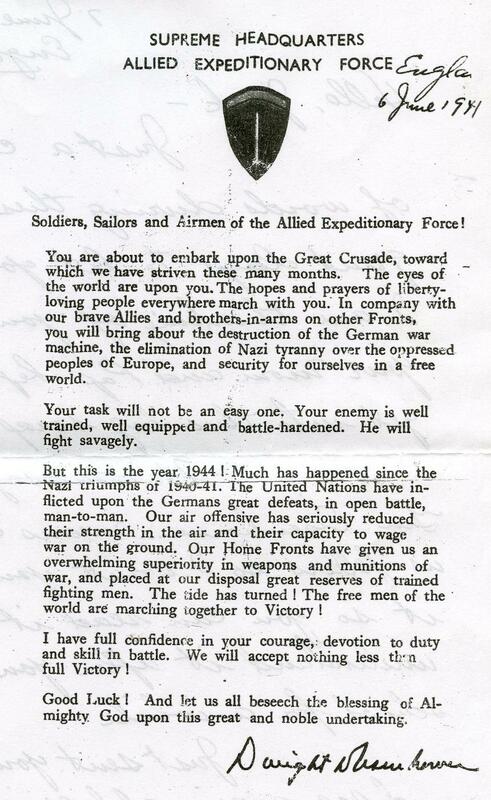 This was written on the back of the second letter, shown below, from General Dwight D. Eisenhower to the troops just before the invasion. Have a great day.